Tactile Paving Studs and Strips have become an increasing relevant tool in creating a fairer and more inclusive environment. At Killeshal, we have been supplying tactile paving for quite some time, but we’ve noted an increased demand recently for tactile paving studs and strips to be retro-fitted into existing paving. We’d all like to think that we take a fair and balanced view of the world, but our interaction with the world around us is coloured by our experiences and our environment. 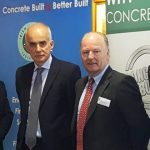 Consequently, unless we have a personal connection to visual impairment, it is not necessarily something we immediately consider at design or implementation stage of any given project with a paved area. Ideally, those with visual impairments would be considered from the start and would be appropriately accommodated with tactile paving. This is an excellent way to provide direction and caution cues to the visually impaired in a manner consistent with guidelines. (See- Guidance on the use of Tactile Paving Surfaces). 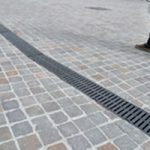 However, as with any project, even the most important of items can be overlooked and it is occasionally necessary to look at options for retro-fitting something like tactile paving studs and strips into existing paving. We have a range of tactile paving studs and strips options at KPC, making it easy to convert any paved area into one that is more inclusive for the visually impaired. With a variety of finishes, there is bound to be an option to suit your retro-fit project. Contact our team at KPC to see how Tactile Paving Studs and Strips from Killeshal Precast can create a more inclusive environment. 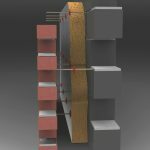 Click here for our Tactile Studs and Strips page.